If drainage is becoming a problem, leaving puddles or causing heaving of your patio, your landscaping needs help. Contact our drainage professionals and discuss the idea of retaining walls or permanent drains around the patio. Repairs to the patio or deck may leave the landscaping trampled or the lawn and plants damaged. 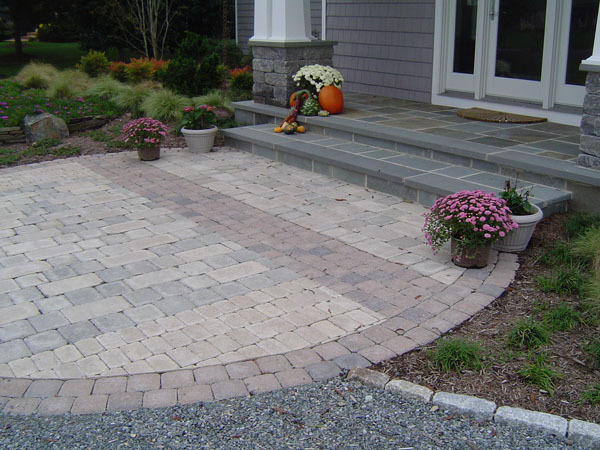 Take the time to update the landscaping while repairing or expanding the patio. Whatever the reason, when it’s time to update the landscaping around the patio, your yard will appreciate the necessary face-lift as it improves the value of your asset. Contact F. A. Hobson Landscaping at 410-739-6800 and let’s get your property ready for the nice weather… Spring is almost here!